Inside the R.L. 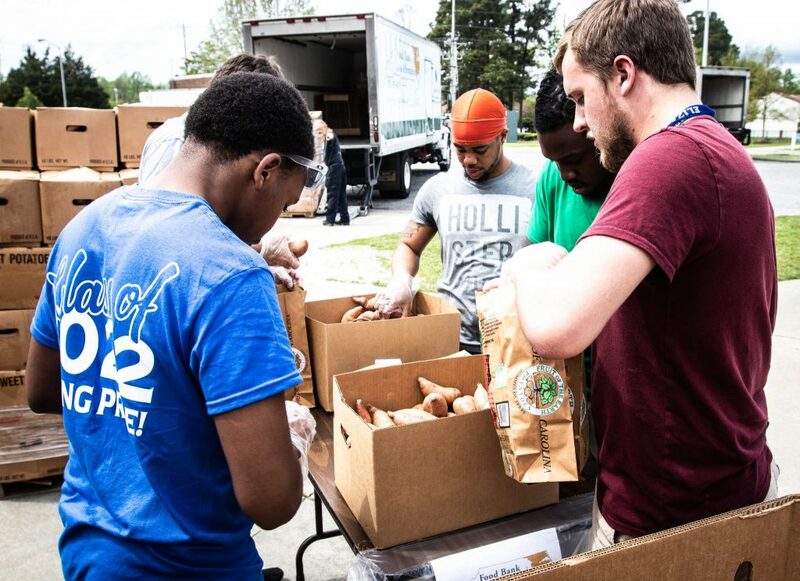 Vaughan Center, on the campus of Elizabeth City State University, the university and Food Bank of the Albemarle met to fight hunger in the region. It was the first-ever Sort-A-Rama and the community answered the call to help those in need. 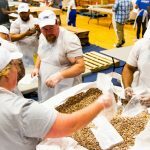 Organized by ECSU and the Food Bank, volunteers met in the Vaughan Center on Sunday, April 14, to pack meals for hungry families across the region. 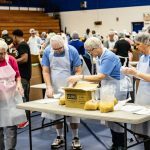 According to the Food Bank’s communications director, and ECSU alum, Brian Gray, more than 450 volunteers packed 50,000-plus meals to be distributed throughout the region. Volunteers came from across campus and across the Albemarle. 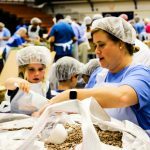 They included students, faculty, staff and residents of Elizabeth City, Hertford, Edenton and beyond. 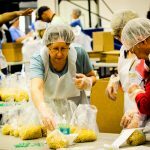 The event engaged area churches, businesses, civic organizations, clubs, and schools to bag bulk food products. 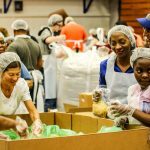 The bagged food will go directly to families throughout the region, said ECSU director of community engagement, Russ Haddad. 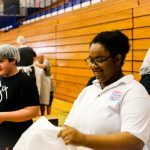 This event was another in a long string of food drives and hunger-relief events hosted by ECSU. 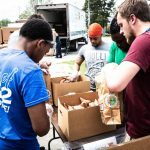 Last year, students and faculty launched Vikings Care Food Pantry on campus to serve students in need of hunger relief. This year, the ECSU Office of Military and Veterans Affairs opened its own food pantry to serve military families in need. Food donations and food drives are ongoing for the Viking Cares Food Pantry. Gray says he hopes this will be the beginning of a long string of Sort-A-Rama events.